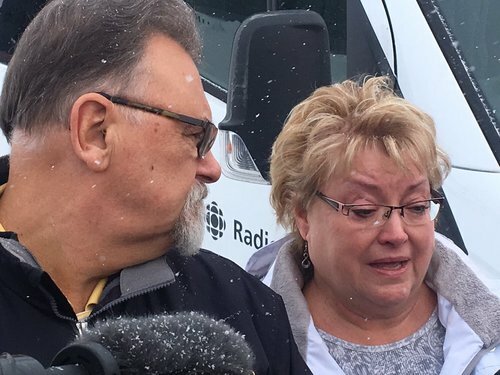 Sidhu “didn’t even know what happened.” He got out of the semi after the crash and had no idea why it was on its side, or what he’d done. Brayford references general #sask govt report on the intersection. It recommends multiple changes from rumble strips to wider shoulders to better signage. Govt has promised to make all suggested changes. “He beats himself up every day. (thinking) ‘Why did I not see the signs? Why did I not stop?’” -Brayford. Said Sidhu takes “100 per cent” responsibility for the crash. But courts have had difficulty determining level of guilt for such offences. He said the horrific consequences are distinct from the actions and the lack of intent. Said all offences resulted from the same act so law suggests a concurrent sentence. Brayford analyzing cases w similar elements. Says most people would be “surprised” to see the relatively short prison sentences handed out for criminal driving offences. Cites a recent case of dangerous driving causing death where offender was speeding at 130km/hr, refused a police breath demand and was driving while DQ’d. Sentence was just over 3 years. Another d d causing death case of a man who sped through a construction zone, changing lanes to pass the slow moving cars, alternating gas and brake, lied at trial, blamed others, etc. resulted in 6yr sentence. Another case of d d causing 3 deaths when a man ran a stop sign and crashed into another vehicle resulted in probation, he says. Another case: man driving over 100km/hr in a 50 zone lost control and killed passenger. Had a lengthy bad driving record. Got 27 months. Appeal cut it to 24mo. Any sentence will likely mean he’ll no longer be able to live in Canada bc of his status. That should be considered part of the punishment, Brayford said. Brayford thanks families for their decorum and respect throughout the hearing. Brayford is asked his thoughts by judge about the driving ban. Said he can’t disagree w Crown’s 10 year recommendation. Brayford is done. Judge asks Healey if he has a response. Healey talking about details of precedent cases. It doesn’t appear that Sidhu’s defense team gave a concrete prison sentence recommendation. The closest appeared to be Brayford’s repeated references to the “accepted range” of 15mo-4yrs. He also referred to the sentence as a “package” - prison, driving ban, deportation, etc. Etc. Taking deep breaths. Slumped shoulders. Said before he knew it, his truck was on its side. Doesn’t know what happened. “I take full responsibility for what has happened. It happened bc of my lack of experience. Sidhu sits. Many families stared at him, others cried and looked down. Judge Inez Cardinal says sentence will be given March 22 at 10am. Judge thanked lawyers and exits. Court is adjourned. Courtroom/gym completely silent as Bronco families and Sidhu and his family leave. Five days were set aside for the hearing but ended in 3.5, despite hearing the facts of the case, nearly 100 victim impact statements and lengthy recitations of case law. Families of the victims have retreated to a private room off the courtroom/gymnasium. It's unclear whether any of them will want to speak publicly when they emerge. Sidhu and his family are still here as well in another room. “Mr. 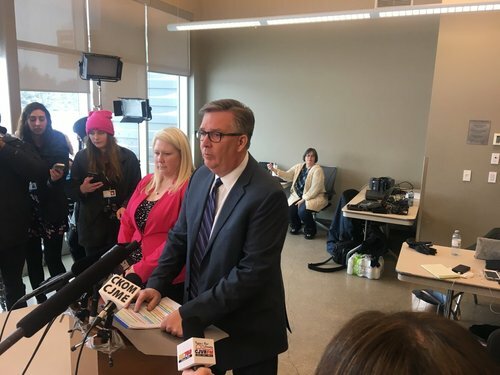 Sidhu’s crime had wide-ranging and devastating consequences.” -Crown Prosecutor Thomas Healey said, thanking the victims and their families for their courage.